I just purchased a hp probook 450 which came with pre-installed Windows 10 pro. 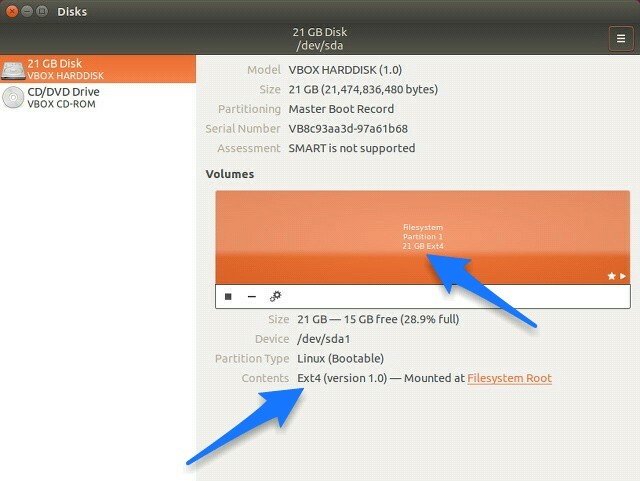 I shrank the main partition in order to create a ubuntu partition with dual boot (ubuntu 16.04). This has worked fine so far, until I tried to mount the main partition of my hard drive. The problem with the mount command is that I cannot determine the FS type of the windows partition. I would expect it is NTFS, but now I don't know for sure. The device '/dev/nvme0n1p3' doesn't seem to have a valid NTFS. I ran multiple commands to try to determine the file system, but without success. The df does not show the partition I want to mount. The fdisk command shows all partitions, but does not display the FS type. The lsblk command shows no FSTYPE for the partition I want to access. Can anybody help me in mounting this partition ? Thank you all for your answers. I tried them but it still didn't work. However, while looking at the disks utility in Windows, I noticed something that came out of my mind while installing: the disk is actually encrypted with bitlocker. This is the reason why lsblk was not able to show the FS type. So, I went to this post and was able to decrypt and mount my Windows drive. Please try exFat. Looks like that's a possibility based on the following page in wikipedia. When I try it on my computer, it uses a FUSE module. UPDATE: This site has a great article on exFAT in ubuntu. It's from 2015, but it might help. I seem to recall that shutting down Windows 10 hibernates while a reboot does not. Try to access the partition after a Windows 10 reboot. If that fails you will need to disable fast startup. Incidentally, using Disks or Gparted (within Ubuntu) to view the disk and partitions will confirm the FS type. If it's not ntfs you could try msdos. period and 3 character extension. Not the answer you're looking for? Browse other questions tagged dual-boot partitioning mount ntfs or ask your own question.